The REACTOR Lab is one of the very few facilities in the US transportation arena using big data analytics in the field of transportation. The REACTOR Lab uses tools like data visualization software, business analytics software, geographic information system mapping tools, computer coding languages, and high performance computing software and equipment to conduct its research. The tools have been used by staff to support decision making in managing traffic work zones, traffic incident management, transportation infrastructure investment, decision support, and more. The data are typically represented interactively and in relation to multiple variables. Efforts are underway to increase the ingestion of more data streams, improve visualization and visual querying functionality of archived data, develop batch processing for automatic reporting of performance measures, and conduct real-time analytics on data coming from multiple/heterogeneous sources. 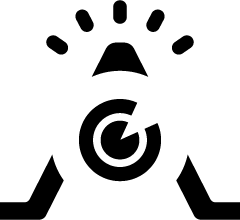 High-performance computing software, including Mongo DB, HDFS, Mahout, that help with machine learning, deep learning, batch processing, and server site hosting. Intelligent Work Zone (IWZ) Data from the sensors, message boards, and cameras set at specific locations along key traffic critical work zone projects. Machine learning techniques as well as algorithms are applied to these data for dynamic messaging in advance of the work area, as well as for alerting of slow-downs to key personnel at the Iowa Department of Transportation. These same data support continuous calculation of work zone performance measures throughout the duration of a projects. Performance REACTOR Lab collects data from a variety of sources to offer performance measures, including safety and mobility for interstates and state highway statewide. Data Quality REACTOR Lab monitors traffic sensors statewide to support operations and to provide the most accurate data for performance calculations. Crash REACTOR Lab is continuously developing interactive tools to support a better understanding of crash performance statewide with interaction between variables spanning multiple years. 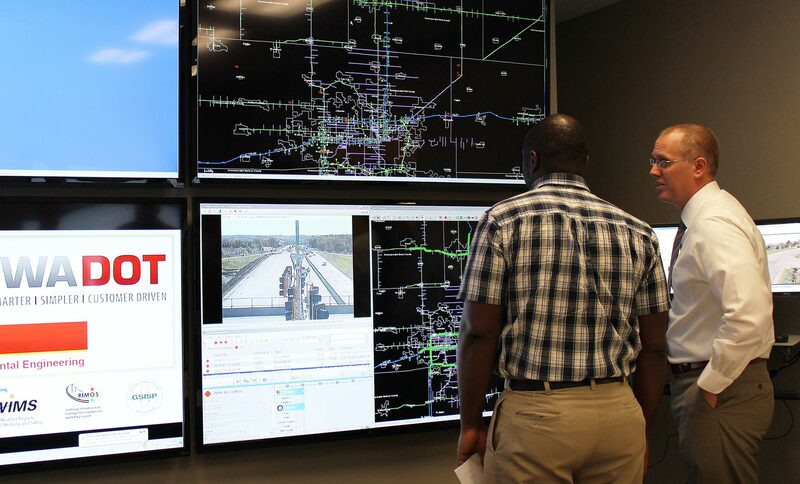 The REACTOR Lab has a direct fiber optic connection to the Iowa DOT’s Intelligent Transportation System Network, more than 35 networked computers, two wall displays using six 70-inch high-definition monitors, and an integrated smart-board along with audio/visual conferencing capabilities. The equipment allows the research staff to get and use data that’s collected across the state every 20 seconds from traffic sensors in addition to high-definition camera feeds.